EL NOSTRE HORT: AVUI LA TERRA ENS NECESSITAVA!!! AVUI LA TERRA ENS NECESSITAVA!!! AVUI QUAN HEM ARRIBAT A L'HORT, LA TERRA ERA MOLT I MOLT SECA! ESTAVA TAN SECA QUE HI HAVIA ESQUERDES I TOT!!! LES CAMILLES OLORAVEN UNA FULLA DEL QUE AVUI HEM PLANTAT A L'HORT : FAVERES!!! HEM COMENÇAT A REMENAR LA TERRA I A REGAR! TAMBÉ HEM FET RESPIRAR LA TERRA PERQUÈ LES PLANTES TINGUIN OXIGEN I AIGUA! L'ARTHUR ESTAVA FENT RESPIRAR LA TERRA! EN ROCCO I LA LOUISE TAMBÉ! 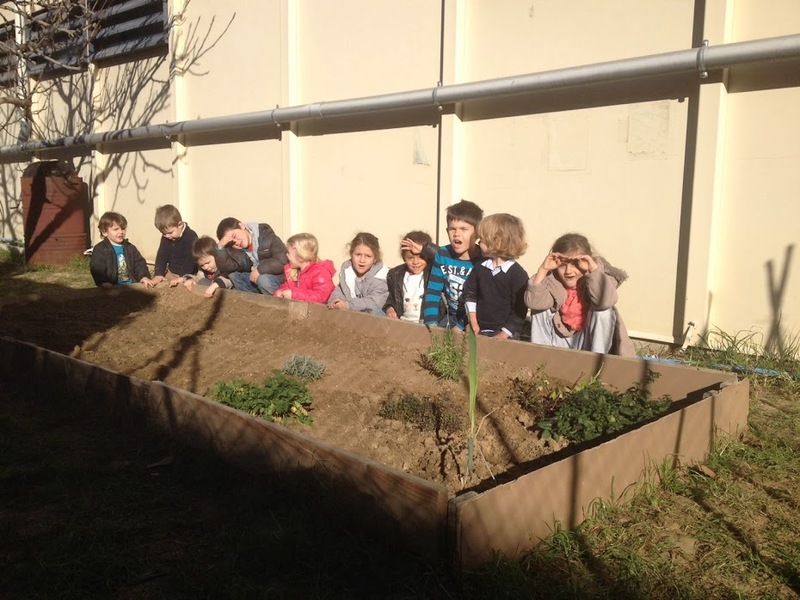 COMENCEM A FER ELS FORATS PER PLANTAR LES FAVERES.